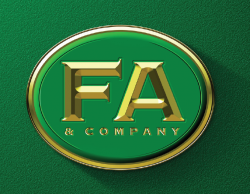 Fa & Company is a Suva based law firm that practices in all areas of law. The firm is led by Mr Isireli Fa who has 30 years of legal experience. Mr Fa was a former president of the Fiji Law Society and is a senior member of the legal profession. He leads a dynamic team that utilizes the latest technologies to conduct their business. Fa & Company occupies modern offices in the heart of Suva’s financial and administrative district.